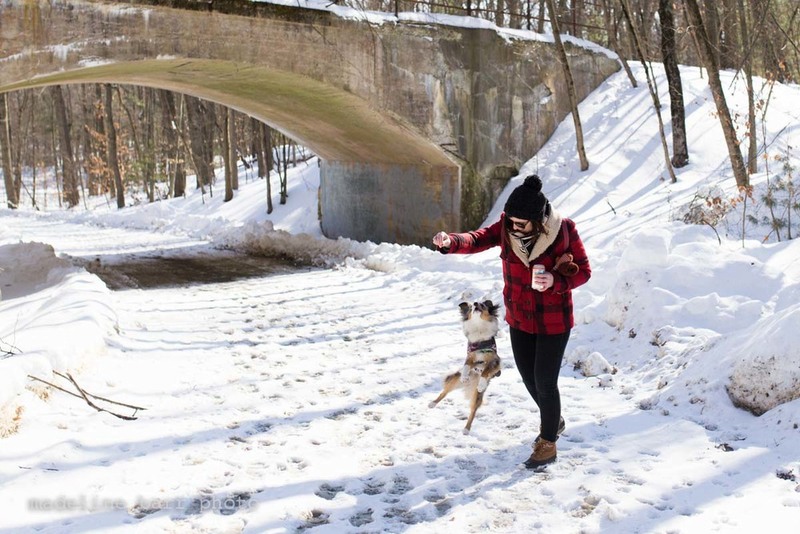 A snow day at the Middlesex Fells with a Aussie Jumping Bean! Sunday before the Super Bowl, my lovely friend Suzie and I headed off to the Fells to take advantage of the snow! It was a perfect day to be out there. There's an area that always as a ton of dogs running around. My little potato of a dog isn't a big player, so we don't go to dog parks much, so this was an extra treat! Watching all the nuggets running around and wrestling in the snow was the cherry on top of getting to romp around in it ourselves. We are both definitely considering getting some snow shoes!